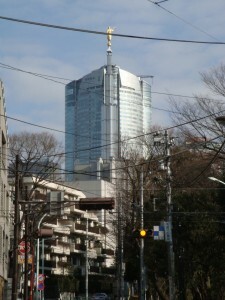 The building behind the temple is Mori Tower. 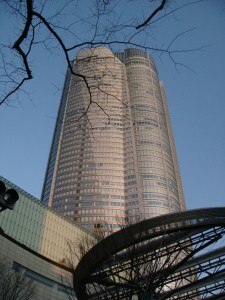 This is how Mori Tower looks when it is not behind the temple spire and the Angel Moroni. It is one of the tallest buildings in my neighborhood.